Do you use the leader/ender system? It was popularized by Bonnie Hunter of Quiltville fame. You can click here to read her explanation of it. 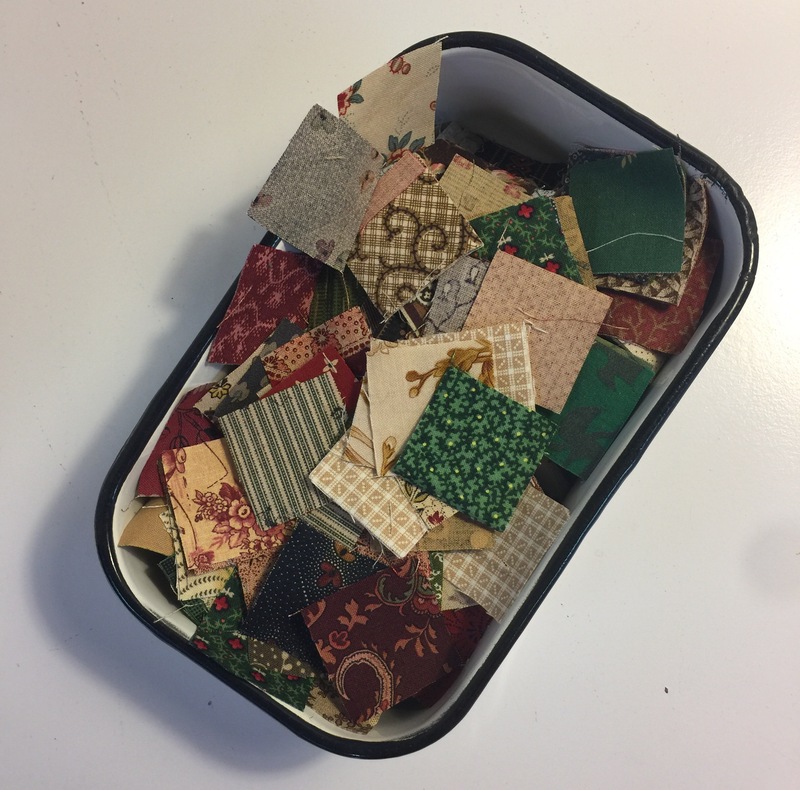 Anyway, since I finished the Puss in the Corner blocks I had been using as leaders/enders, I decided to pull out this bin of 11/2 inch cut squares to use as while working on the baby quilt that I shared on Friday. 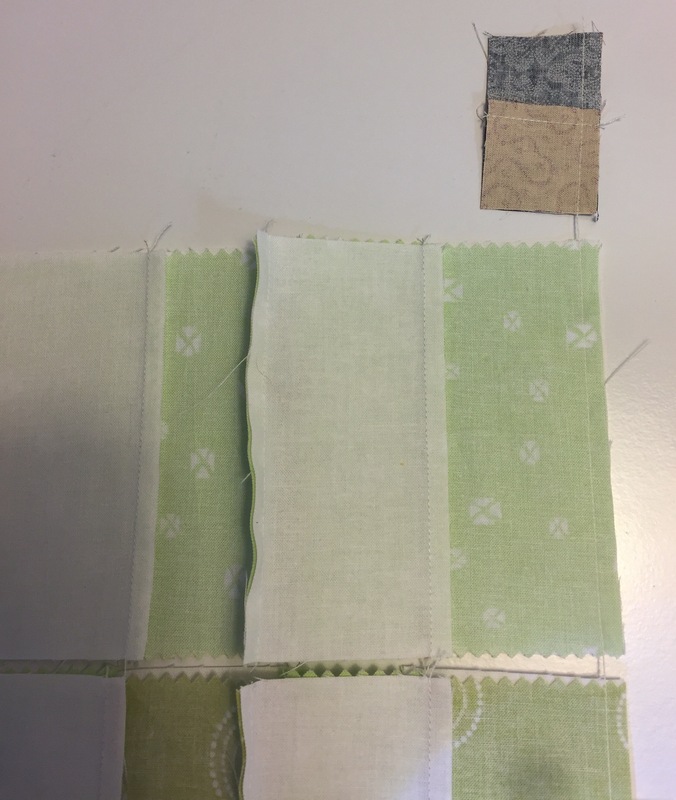 I pulled some squares out and matched them up to make four patches. I sewed them at the beginning and end of the seams of the baby quilt. Before I knew it, I had a pile of them done! It remains to be seen what they will become, but doing them like this makes it feel like a free project. 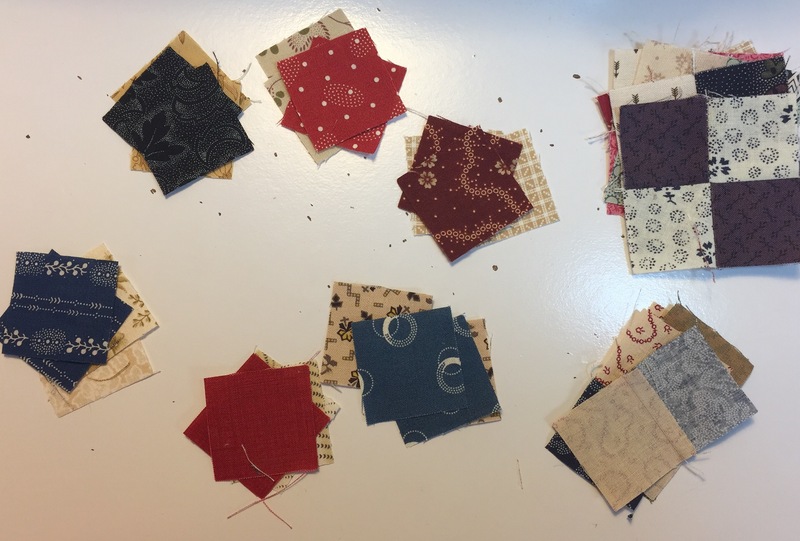 This entry was posted in 52 Quilters, Civil War Repro Quilts, Leader/Ender, Uncategorized. Bookmark the permalink. Leader-enders, what a great idea. I need to get more disciplined with mine! That’s how I feel about them, too. Wonderful repro fabrics! I love leader-enders. Several of my largest quilts were born as leader-ender projects. Right now I am making a 361 block, nearly 10,000 piece quilt that way. There is no way I would try it unless it were one that sort of happened on its own. I was surprised to find that I have 110 blocks complete already. Those tiny blocks will be wonderful. 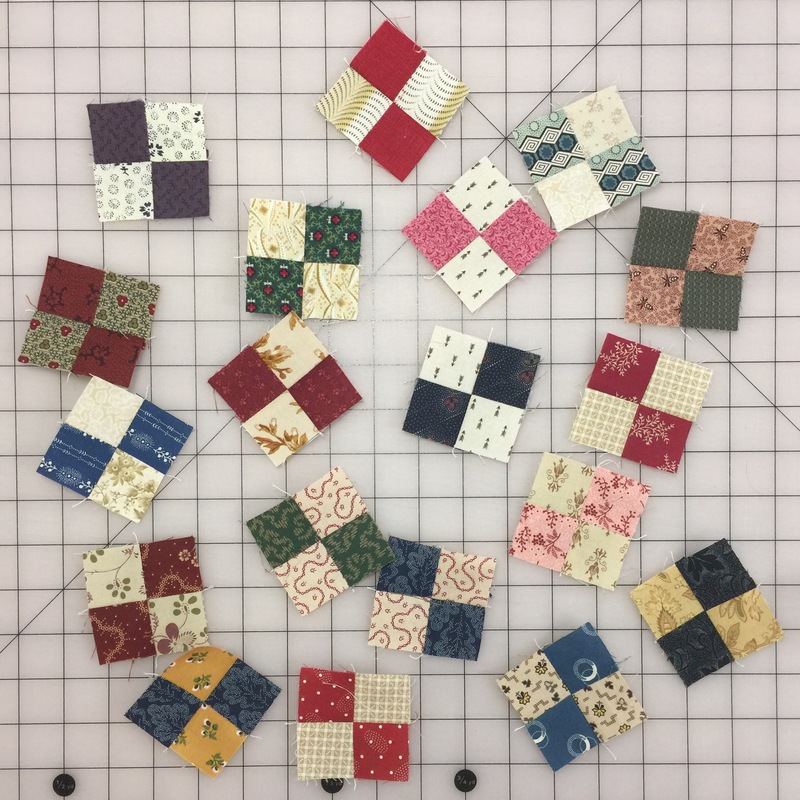 If you want ideas for tiny blocks or tiny quilts you might want to look at Temecula Quilt Company. They always have something inspiring going on. I was doing that for a while but I kind of got out of the habit. You have reminded me to get back to it! I love the fabrics on your tiny little four patches. Do you have a plan for them yet? Aren’t leaders/enders great? I have been using this system since I found out what they were. In addition to getting more accomplished, it saves a lot of thread. Sometimes though, I don’t have anything prepared to sew, which is frustrating. Your little 4-patches look great!